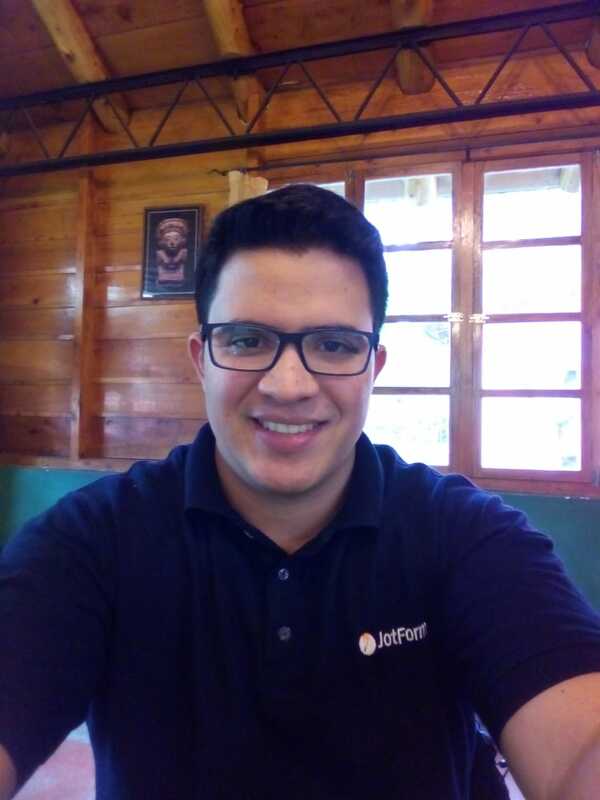 Could you help me to find what parameter is not working in form? I've tested this in excel and works very well there. Unfortunately, the If function is not supported in the Spreadsheet widget. Let us know if you have more questions. 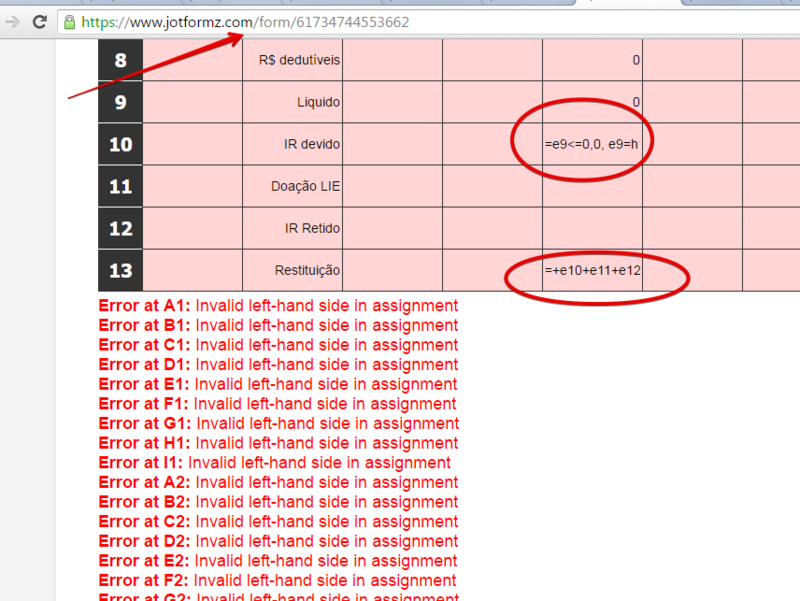 I've took of the "IF" from formula, and know this message came "Invalid left-hand side in assignment"
I was able to see the error on the form https://www.jotformz.com/form/61734744553662 as well. is not a valid formula in the Spreadsheet widget. As already mentioned by BDAVID, complex nested formula is not supported by the Spreadsheet widget. I removed that formula in my test form, and it become fine after. 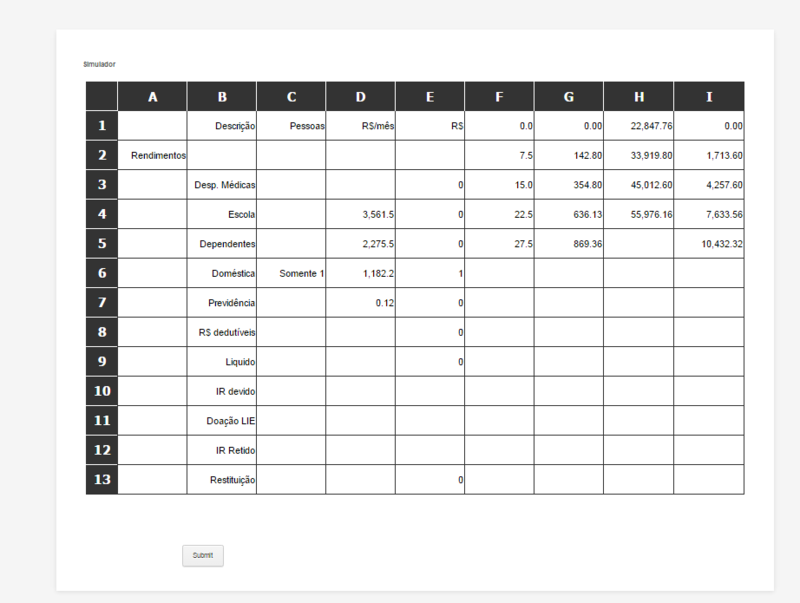 I am afraid you will have to redo the formula you want to add on the widget and use only very basic calculation formula. but still doesnt work , do you know what I've made wrong? Error at A1: Field E10 contains invalid value: "-e9*7.5+1713.60"
Please let us know should you run into any other issues along the way, and we will be happy to help. 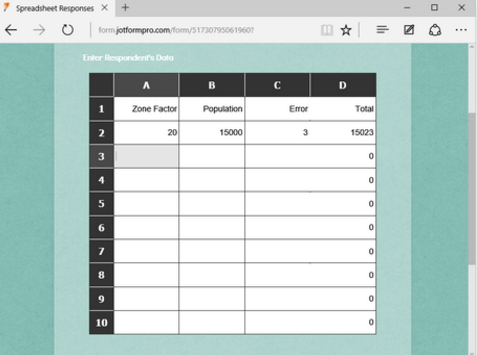 How can I put a negative number in a cell?